Soron is tired of combat. Growing up in the harsh world of Northern Solotine, Soron was been fighting his entire life. He is only a young man, but already a battle hardened veteran. He longs to pursue a new less violent life, but the people of Northern Solotine, and the very land itself seem determined to keep that from happening! Soron and Velaina left the royal life behind, with all its intrigues and dangers, for the small village of Elderwood. 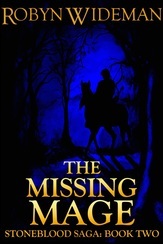 For fourteen years they lived a peaceful and simple life, until one day their son Nathan showed signs of possessing magical ability, and all their plans were thrown into question. Before they could share their secret pasts with their son, a tragic series of missteps by an ambitious duke leads to tragedy. 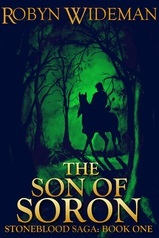 Nathan's quest finds him pitted against deadly bandits, vicious mythical creatures, and a northern king who will either kill him or call him grandson. Watch as the young boy leaves a sheltered childhood and enters into perilous adventures with life or death situations threatening his very existence. Torn from their homes, Nathan and his friends must start a new life. But Balta is like nothing they know. This magical new world is full of intrigue and adventures. Nathan and Ava form new bonds and friendships that will be put to the test.